David Solomona began his professional career with Sydney Roosters before joining Parramatta Eels in 2001. 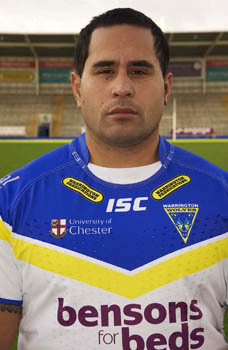 He joined Wakefield Trinity Wildcats after a two-year spell at Parramatta and was instrumental in keeping Wakefield from relegation in 2006. He was also part of New Zealandâ€™s Tri-Nations-winning team in 2005. Solomona joined Bradford Bulls in October 2006 and had a successful 2007 with the Bulls. A knee injury disrupted the start to his 2008 season but he went on to represent Samoa at the 2008 World Cup.